Greg was born in Pointe-Claire, Quebec and raised in Oakville, Ontario. He graduated from a dual-degree honours undergraduate program from Queen's University in 2005 with a Bachelor of Arts (Psychology) and a bachelor of Physical and Health Education. He went on to earn a diploma in Sports Business Management, with distinction, before attending law school. Greg received his Juris Doctor from the Faculty of Law at the University of Windsor in 2012, and was called to the Bar in 2013. Greg summered with Giffen Lawyers in 2011 and completed his articling term here in 2013. He is a member of the Ontario Bar Association and the Waterloo Law Association. 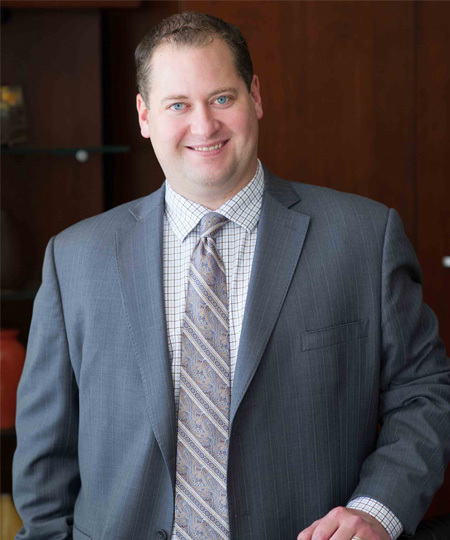 Greg maintains a general civil litigation practice, with a particular focus on employment and insurance law, personal injury, disability claims, and product and occupiers' liability claims. Greg has attended as counsel at all levels of courts including the Court of Appeal, Divisional Court, Superior Court of Justice, Small Claims Court, and numerous administrative tribunals. In his spare time Greg enjoys playing sports of all kinds, particularly hockey, golf and squash. He is glad to have settled in the Kitchener-Waterloo Region with his wife, Kathleen, and their two sons, and looks forward to continuing to grow his legal practice in the coming years.